Abie is Director of Internal Operations overseeing Daily Operations, Warehouse and Transportation Logistics, Regional Strategic Development, and Oversees Human Resources. Avishai is Head of Procurement and Sourcing at Pollak Foods. Avishais has a strong exposure to wide arrays of food catalogue, menu requirement, and manufacture capabilities and sourcing possibilities. Avishai oversees inventory optimality and readiness. Avrohom Pollak Oversees Strategic Relations and Sales at Pollak Foods as well as Financial Data and Program Design and day to day management of custom designed data and financial program solutions for customers Avrohom has a strong sales portfolio and sales growth record and is responsible for overseeing and mentoring sales associates and new growth opportunities. .
Devorah is the Senior Customer Support Team Leader at Pollak. Devorah oversees the facilitation of customer orders and the smooth functioning of any customer issues. Devorah leads customer issue responses and is universally appreciated by Pollak customers. .
Yaakov has food industry experience of over 13 years and is involved in multiple aspects of Sales, Finance, and Strategic Planning at Pollak Foods. CEO and founder of Innovations Services food service training and consulting company to the restaurant, education and healthcare industries. Wayne has created fun and interesting, training videos, software for long term care, posters and cartoons for the foodservice industry and is the author of many books and articles about foodservice and innovative dining programs. Wayne is a noted speaker and seminar leader to leading organizations and conventions. 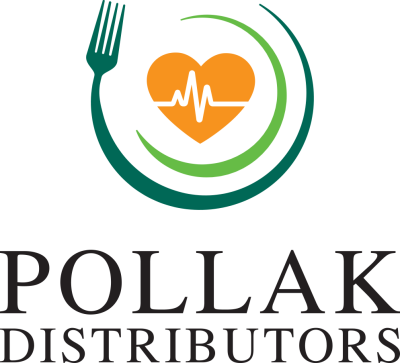 Innovations Services and Pollak partner together in many areas and projects of foodservice support.